Some worrying news is trickling out from Telltale Games. Reports state that there have been more massive layoffs with only a core team of 25 remaining on site. Projects have been cancelled, and Clem might not even get her finale. Originally, Season 2 of The Wolf Among Us was set to release at some point this year. Unfortunately this has no been met with a delay, and we won't be seeing it until 2019. TT Podcast 46 - Catsup! After a couple of quick weeks, the team sits down to make up for the parts you've been missing. Yay bonus trivia! Also, Kingdom Hearts III has a release date, as does GT Sport. Telltale announces several new seasons. Telltale fans rejoice! Today the developer announced that there will be new instalments in three of their series. There will be second seasons for both Batman and The Wolf Among Us, and a final season for The Walking Dead. 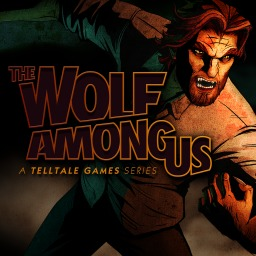 The first The Wolf Among Us game with trophies was The Wolf Among Us, which was developed and published by Telltale Games and released on 07 November 2014. The next The Wolf Among Us game scheduled for release is The Wolf Among Us - Season 2 for PlayStation 4, which has a release window of 2019.